Tanks roll. Soldiers march. Battleships bristle. Planes thunder high above a battlefield where untold legions lie wounded or dying. World War II has arrived, and only you can turn the tide in Sudden Strike: Normandy, the latest in the multimillion-selling line of award-winning Real-Time strategy games, which brings history's most storied conflicts to life right on your desktop. Download this free full version game and start your battle now! 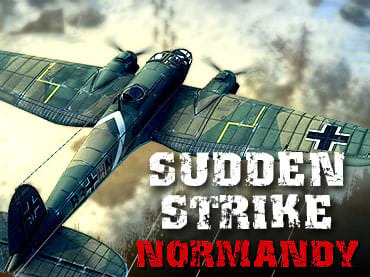 If you have questions about Sudden Strike Normandy game, please contact us using this form.